The airfreight scene mourns one of its most active analytical minds. Dirk Steiger, the well-known air cargo expert passed away on March 22nd at the age of 53 after losing his long-term battle with a serious illness. 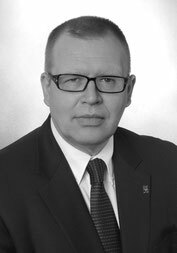 Dirk, who was a real specialist in analyzing and projecting trends within the air freight scene was a known and well liked figure in both the German and European cargo community. He founded AVIAINFORM in 2002 and made a name for himself as a specialized consultant in researching market data, trends and developments in the global air transport systems. His findings often gave many carriers the tools necessary to anticipate changes in their competitive environments. Dirk’s engagement was one which was also highly rated and used by other worldwide institutes and international banks. Dirk Steiger was a popular figure at air cargo gatherings and his annual presentations on market trends which he gave each year at the Air Cargo Club, Germany, was always well attended by its members. We at CargoForwarder Global also loose a good friend and supporter. Dirk, until his illness forced him to slow down, regularly contributed data and trend related articles for our publication. Despite the hard years his illness forced upon him, Dirk Steiger never complained or lost his sense of humour, nor his continued interest in the worldwide air cargo scene.